Inside a tent it's cosy. But what is going on outside? Is it dark? Is it scary? Not if you have your trusty flashlight! Told solely through images and using a spare yet dramatic palette, artist Lizi Boyd has crafted a masterful exploration of night, nature and art. 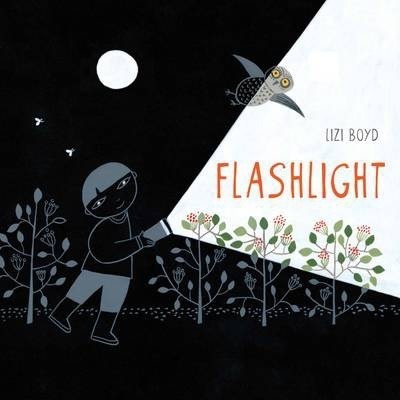 Both lyrical and humorous, this visual poem, like the flashlight beam itself, reveals that there is magic in the darkness. We just have to look for it. Lizi Boyd creates greeting cards, gift tags, wrapping paper, blank books and bookmarks, which she sells on her website, www.liziboydpapers.com. She is also the author and illustrator of more than 30 children's books from other publishers, as well as board books and gift products for Chronicle.